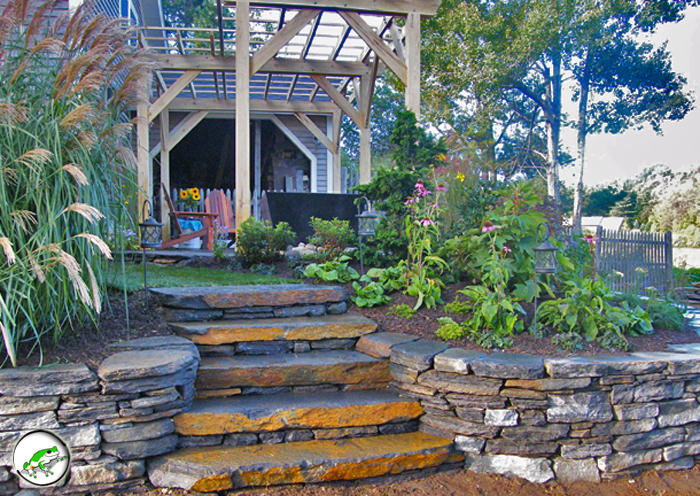 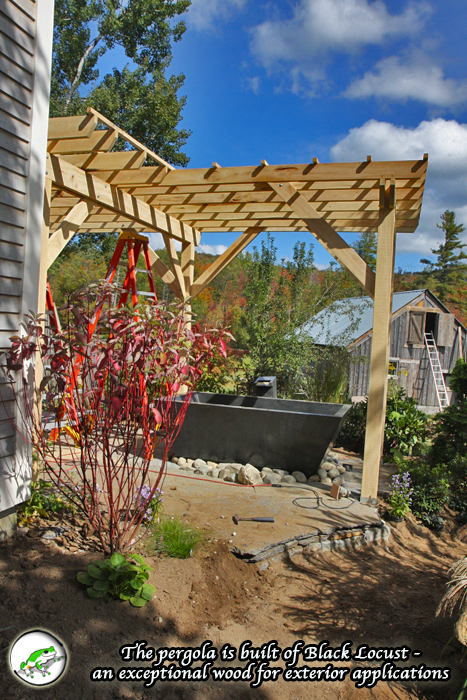 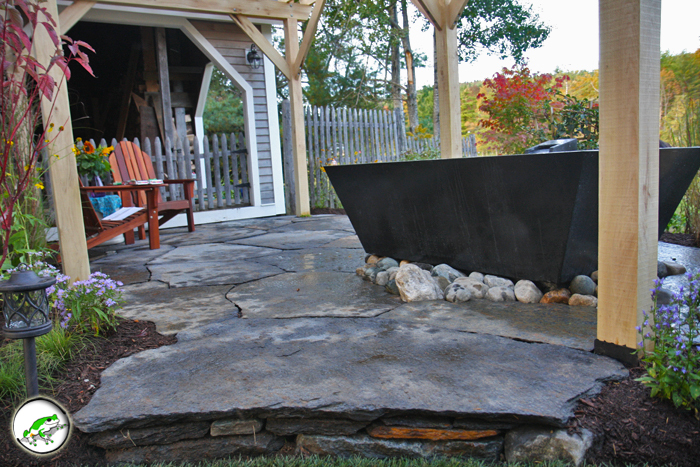 In 2009 we were invited by our friends at Stone Soup Concrete to design and build an Outdoor Spa Garden for the Do-It-Yourself Network. 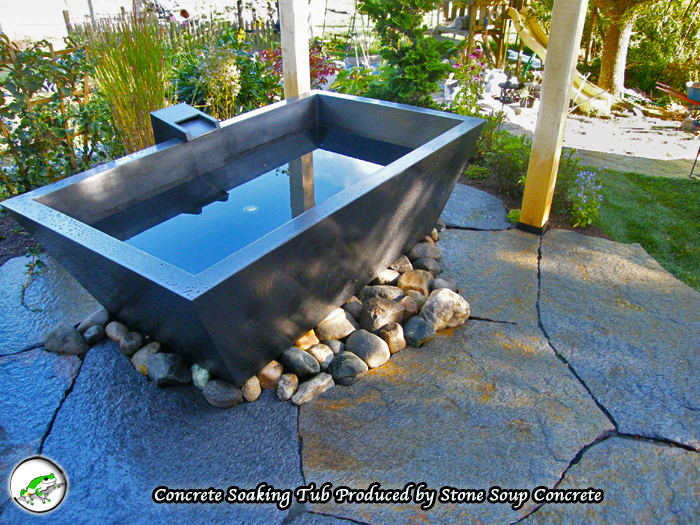 The central feature of the garden is a unique radiant concrete soaking tub! 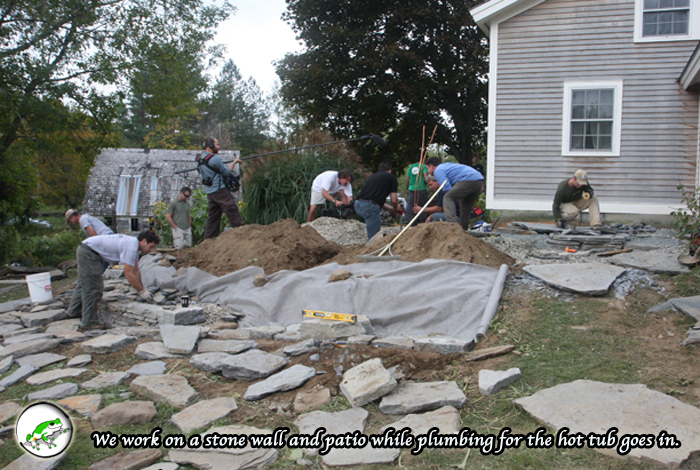 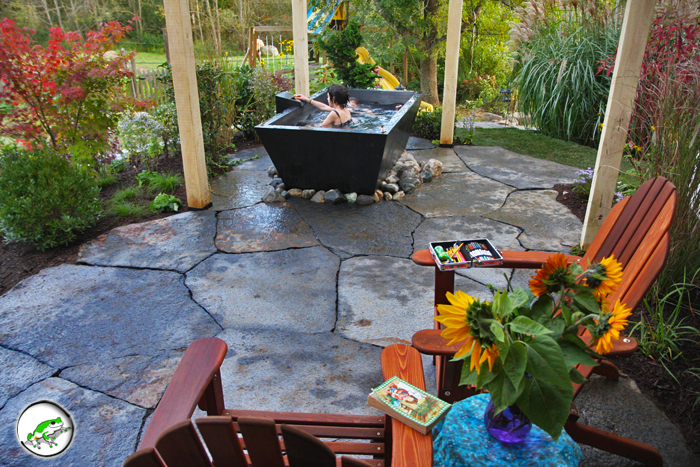 To start, we built a Goshen stone patio for the tub to sit and family to recreate. 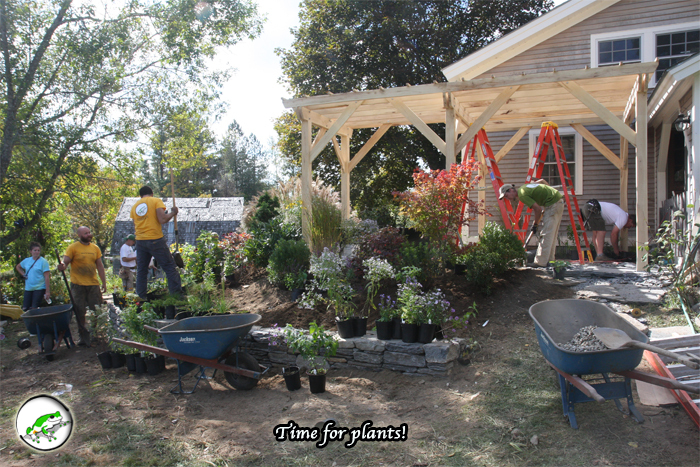 We then wrapped the patio in native plantings from Wanczyk Nursery and Project Native. 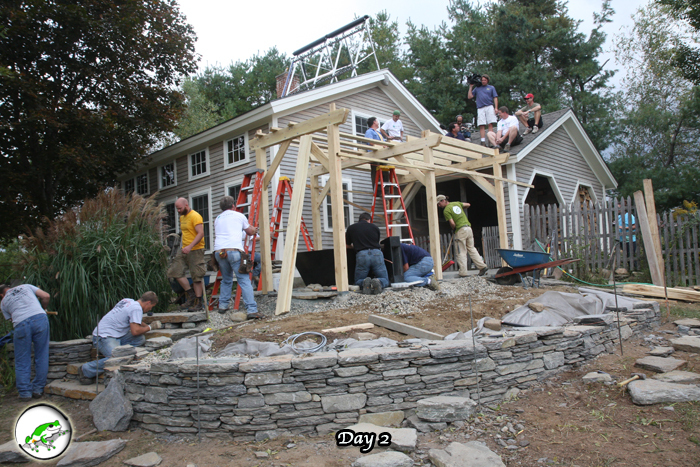 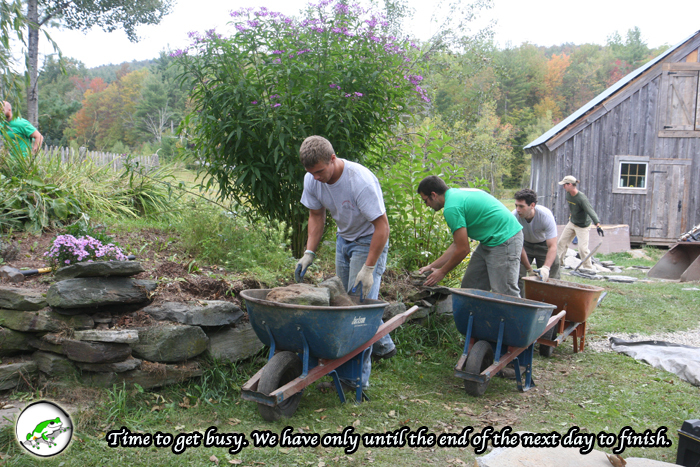 Our friends Joe Johnson and Luke Picadello joined the fun with some help on the stone walls and stairs. 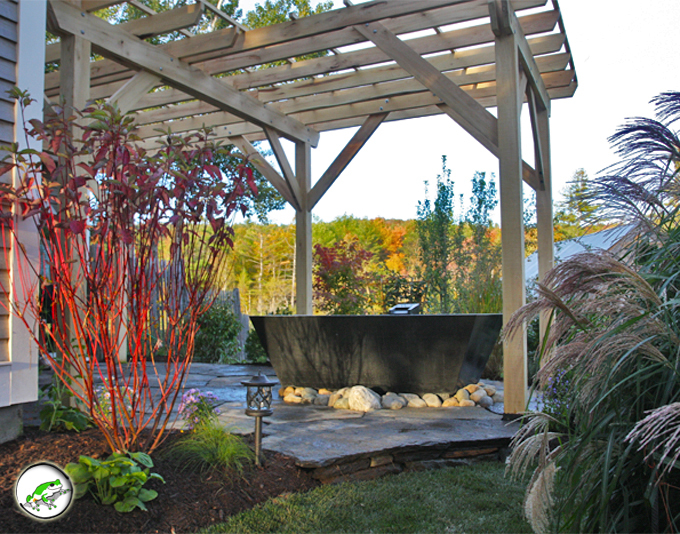 The garden rests under a Black Locust pergola built by Sackery Construction. 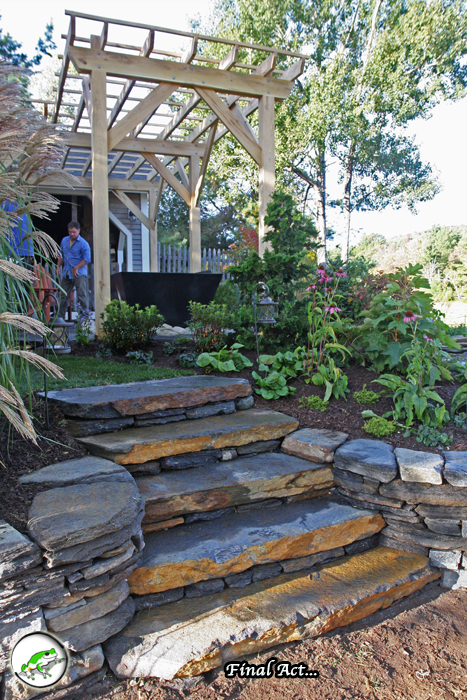 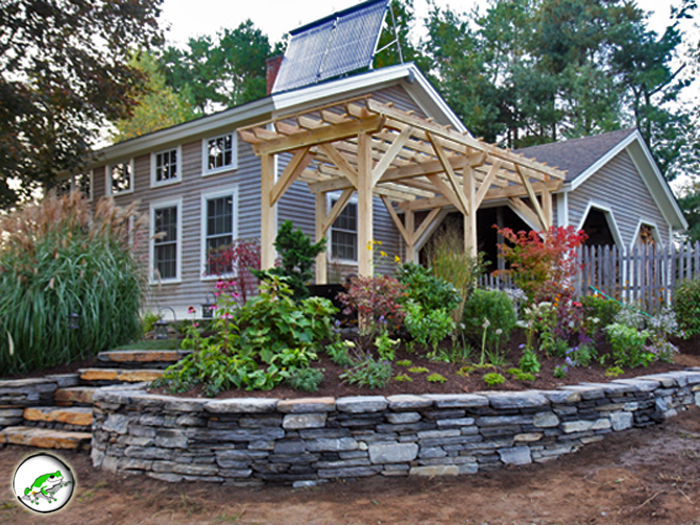 What’s more, the garden was to be built at Stone Soup partner Michael Paulsen’s own home. 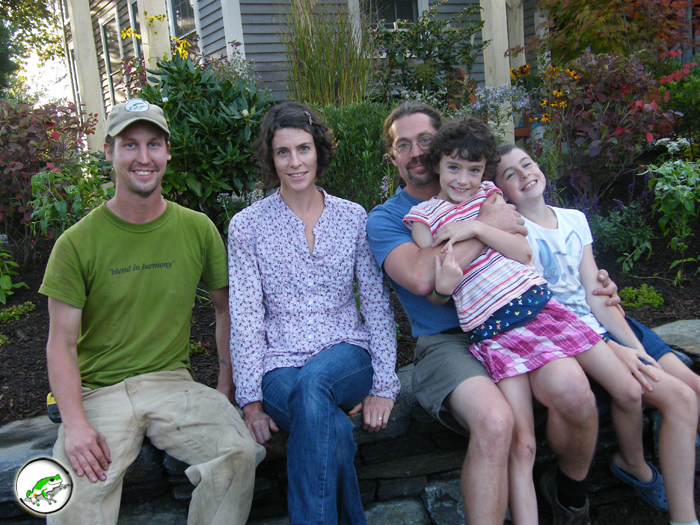 We started in March, developing a design to suit the Paulsen family. 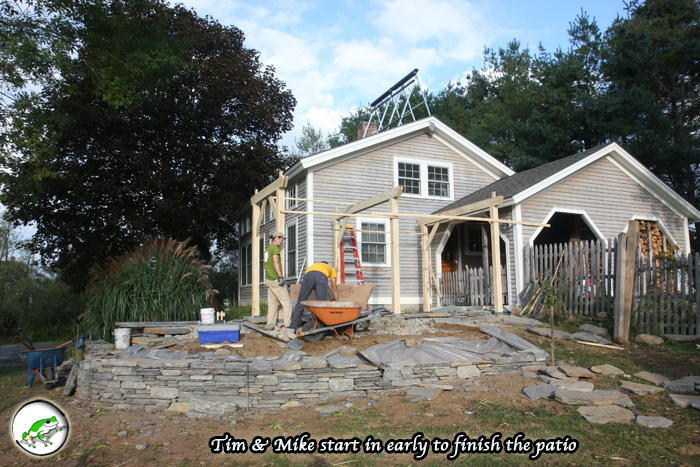 Then we worked with Michael to pull in a team to execute the installation over 3 days in July. 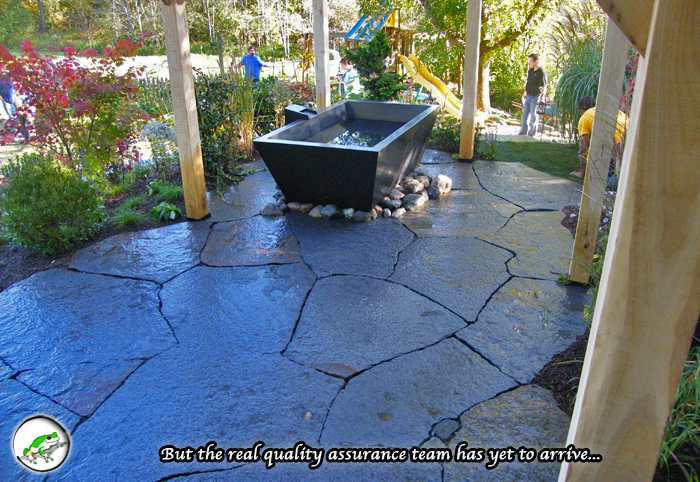 Click here to see a full viewing of the show!